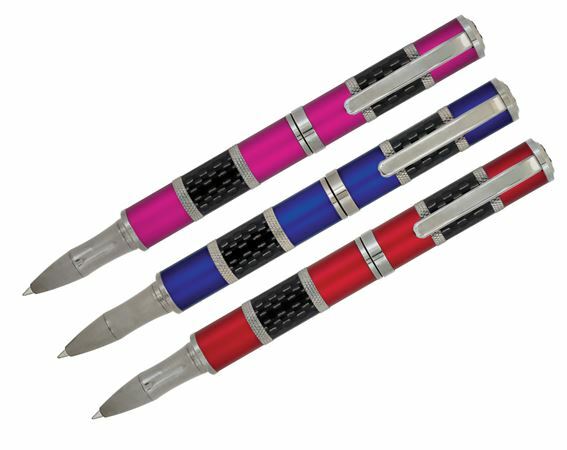 Order your Monteverde Metallic Regatta Sport Rollerball today from FahrneysPens.com. Fine Pens, Refills & Luxurious Gifts – great prices & fast shipping. Echoing the spirit of modern high-speed racing yachts, the new Monteverde Regatta Sport has evolved into a high-tech writing instrument with carbon fiber bands set between segments vibrant metallic finishes and stunning gunmetal trim. The Regatta Sport's weight and balance creates a supreme writing experience. Its magnetic closure makes capping and posting the fountain pen and rollerball a snap! The twist-action ball pen is equally robust and comfortable in the hand. Fountain pen holds a black ion-plated steel nib. The weight and balance of the Regatta Sport gives you terrific writing performance.